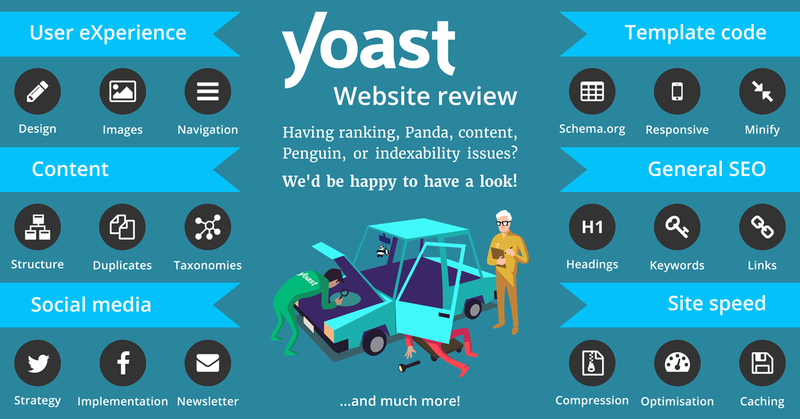 One of the most asked questions in our site reviews is “What happened to my rankings!?”. Although we have the possibility of using all kind of great tools to analyze your website, this questions remains one of the toughest ones to answer. Google isn’t always clear about why some sites rank better than others. In this article, I’d like to illustrate how we go about found drops in rankings or traffic, by using an example from our Platinum SEO reviews. That simply hurts. This website took a hit around May 18, perhaps a bit earlier already. Luckily, they were able to gain back a lot of their traffic, but things haven’t been quite like before. What we do in this case, is align the graphs in Searchmetrics with Google’s algorithm updates. Usually we turn to Moz, as their overview is accurate and has some convenient links to articles about that drop. Hm, that sounds about right. Right? There was a Payday Loan update on the 16th as well, so let’s not jump to conclusions. What could have triggered a Panda penalty in this case? The website at hand is packed with news, has built up quite some authority over the years and its link profile looks awesome (see image on the right). 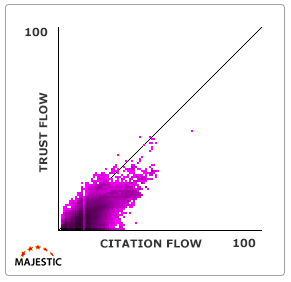 In MajesticSEO, which we use alongside Searchmetrics for deeper insights on backlinks, that deep purple color indicates loads of linking domains. One might argue on the trust flow of these sites, but a lot of these circle around 20-30 and that seems alright (there is always room for improvement, right). This shouldn’t have anything to do with that drop. Panda is about quality. So we checked a number of things, like content quality, design quality, code quality. All seemed right. At that moment, we were tearing our hair out and drinking heavily, as we just could not figure out what happened. Just the other day, I was at Conversion Hotel and an obvious subject was ghost buttons. Don’t use these, they’re scary. 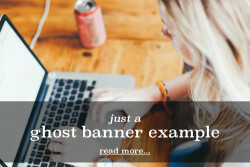 The website we were analyzing might have had a penalty because of another bad spirit, being ghost banners. Google is a machine. Google recognizes certain sized elements on your website, that have a link and might perhaps be a banner. Think along the lines of a popular posts section, a list of product images or (and even worse) links to related articles on other websites. If your website is packed with these, Google could quite easily mistake these for banners. Does this mean changing something like a sidebar would help you get rid of that possible Panda penalty? That isn’t guaranteed. Too many factors we can’t influence might play a part in this. What we do in our Platinum SEO review, to our best knowledge and using our combined experience, is analyze your website and identify every possible issue your website might have. The review leaves you with an extensive to-do list. If you follow-up on that list, or have someone follow-up on that list, you will be able to serve your website the best way possible to Google and other search engines. There is no number one ranking guarantee. You have a part in that optimization, and Google has a part in picking up on changes. But you’ll be able to give it your very best go, using loads of know-how we provide and loads of market knowledge you already have. Our Platinum SEO review gives you a complete overview of all the things you can do SEO wise to improve your website for search engines. And it is available now (until December 11) for a mere $1,799 instead of the usual $2,499. So if you have experienced any strange drops in your rankings or traffic, we’d be happy to have a look!